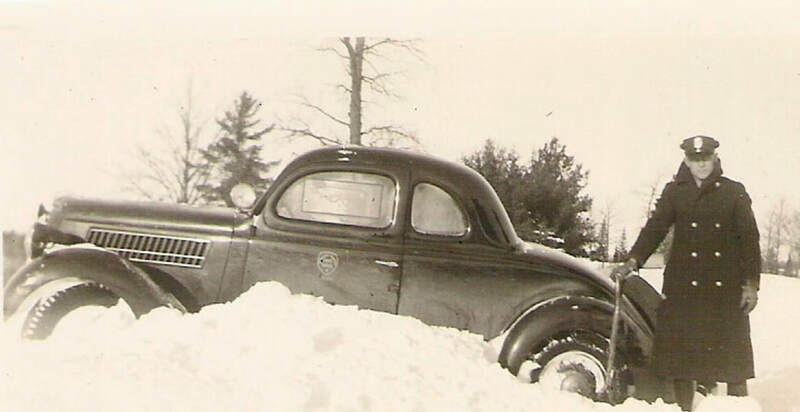 This 1935 Ford appears to have bitten off a bit more than it could chew, leaving Patrolman Ray Krueger with the task of shoveling snow to free it up. It doesn't look like the tire chains were enough to get the Ford out of all this snow. Photo provided by the Krueger family.